Product #16867 | SKU SLIDE | 0.0 (no ratings yet) Thanks for your rating! 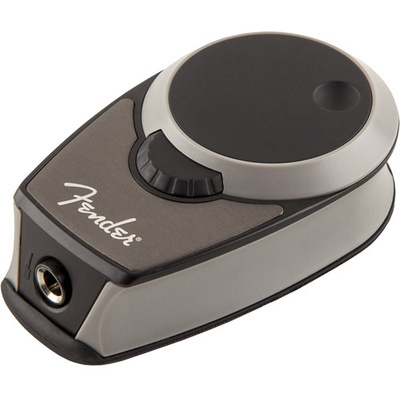 The SLIDE from Fender is a compact guitar or bass interface that provides everything needed to start using a mobile device or computer as a recording, performing, or guitar instructional workstation. Along with simple and flexible connectivity, the interface includes two complimentary versions of IK Multimedia's AmpliTube amp and FX modeling software, along with a version of the Rock Prodigy Lite app, a complete and effective way to learn guitar. Plug a guitar or bass into the interface using a standard 1/4" instrument cable, and use either included data cable to connect to an iOS devices or connect to Mac or Windows computer. Monitor with headphones or connect to an external amplified system.